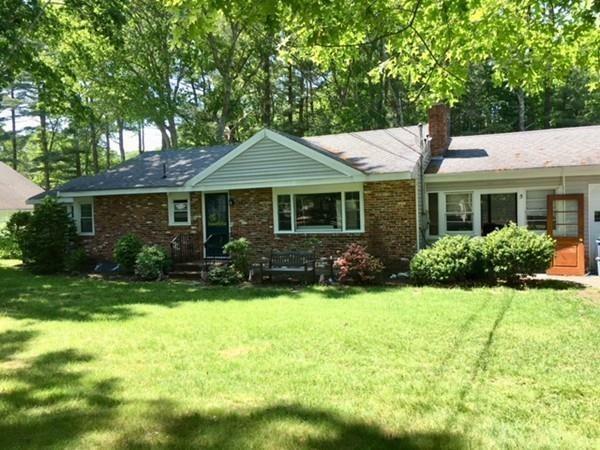 This 4 bedroom, 2 bath ranch has many updates including 1 year old heating system, 2 year old septic system. Title 5 in hand. Brand New Kitchen with SS Appliances, tile floor and open floor plan. 2- car attached garage via a breezeway that has been enhanced to the fullest. Newly updated bathrooms. New doors, trim and hardware throughout the first floor. Hardwood floors are newly refinished. Walking distance to Bryantville Elementary School as well as Little Sandy Bottom Pond where swimming lessons are available. This house is located minutes to T stations/ commuters in Hanson and/or Halifax. 3 Miles to Rte 53 Pembroke. Come take a look! You will love the space it has to offer. In-Law potential. Listing courtesy of Deborah Ulich of Mariner Realty, Llc. Disclosures This House Had Been A "2-Family". Recently Changed To A 1-Family Town Says it Can Easily Be An in-law. You Must Check in With Them At Town Hall. Listing provided courtesy of Deborah Ulich of Mariner Realty, Llc.